Experienced staff riding and basic horse safety to students in small groups, providing close and individual attention. Schools and student groups visit Webb’s Holiday Acres during the school year (September to June) and our program is designed to fit the individual needs of each group. Your stay at the ranch gives students an enormous amount of self confidence, educational programs such as pond study, tree study, bird watching, orienteering, hiking, animal care and of course horseback riding. We offer one-day field trips as well as overnight trips of various lengths. Our facilities are suited for groups of 25-80 children (minimum of 25 children per group), and overnight accommodations sleep 12-24 students per cabin. Washrooms with running water and showers are in close proximity to cabins. 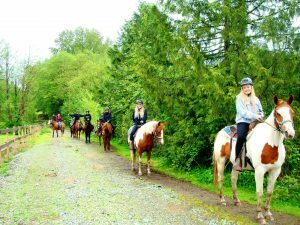 Western-style riding instruction and basic horse safety and etiquette is taught by experienced staff, and staff are also on site for meal preparation, cooking and clean-up. 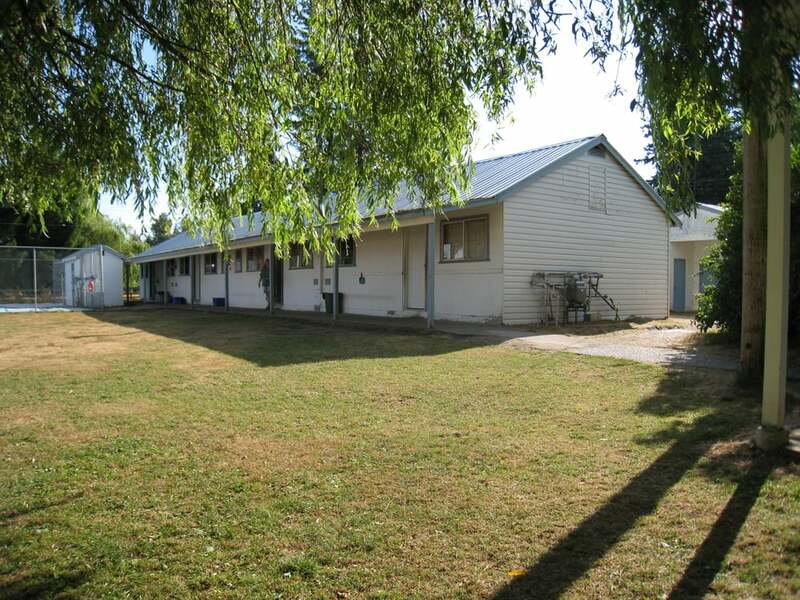 Other amenities include an outdoor heated pool (June-September, certified lifeguard not provided), outdoor basketball and volleyball courts, indoor gym facility, recreation room, hiking trails. For more information, rates, and logistical details about school trips, download our School Group Information sheet. If you have more questions or wish to make a reservation, please do not hesitate to contact us by phone or email.